Why does grape candy taste so fake? What on earth is blue raspberry, anyway? And what is the difference between natural and artificial, at least when it comes to flavor? Join us as we taste the rainbow on this episode of Gastropod, from artificial flavoring's public debut at the 1851 Crystal Palace exhibition, to the vanilla-burping yeasts of the future. We'll experiment with Skittles, discover how invented flavors first appeared in our daily diets, and visit a synthetic biology lab, all in our quest to understand what artificial flavor is, was, and might be. Along the way, we'll learn what exactly goes into designing the perfect pineapple from one of America's top flavorists, investigate beaver butts, and discover the taste of an extinct banana. Listen now! 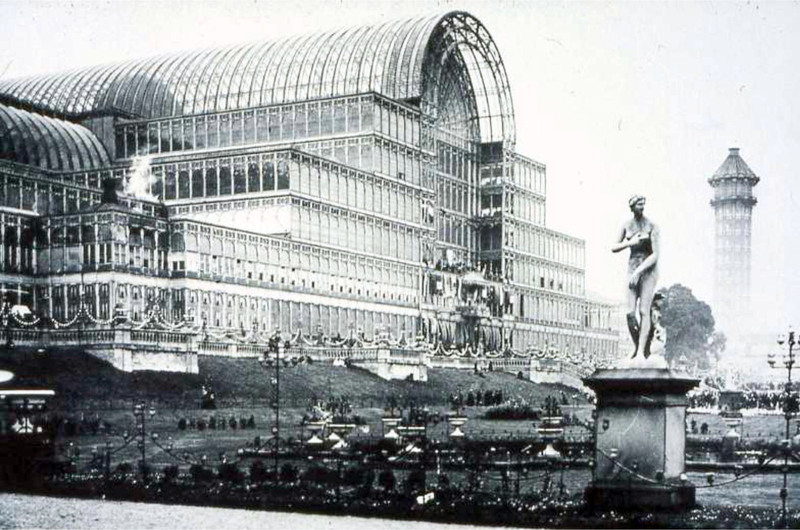 The Great Exhibition of 1851 was housed in Joseph Paxton's extraordinary Crystal Palaces, and contained "the wonders of industry and manufacturing from around the modern world," including folding pianos for yachtsmen, a couple of velocipedes (the early version of a bicycle), and, of course, some lozenges flavored with artificial fruit ethers. Throughout human history, if you wanted to make a dish taste like strawberry, you had no choice but to add a strawberry. But in the 19th century, scientists began to understand how to synthesize flavor chemicals, whether from plants or from byproducts of coal processing, to evoke familiar flavors. While the technology to evaluate the flavor molecules of a particular food have become increasingly sophisticated in the past century, the basic concept of synthetic flavor has remained unchanged. Until now. In this episode of Gastropod, molecular biologists explain how they're designing yeasts to ferment the tastes of the future. Let's start with a graham cracker. Just like Sylvester Graham back in 1829, if you're baking at home, you'd probably use coarse-ground whole-wheat flour, wheat bran, and wheat germ. These, along with some honey for sweetness, would give your graham crackers their distinctive toasty, malty, and slightly nutty flavor. If you're making them by the billion, however, at a Nabisco or Keebler factory, the ingredients list looks a little different. That extra wheat germ and bran contain natural oils with a tendency to go rancid—but, when you cut them out to gain shelf-life, you lose the flavor. Fortunately, there's an easy solution: you can add all that flavor back with just a touch of a light yellow, crystalline powder called 2-acetylpyrazine. This is an aromatic, carbon-based chemical, known by flavorists as the "graham-cracker" flavor. It occurs naturally in nuts and toasted grains; as the vital ingredient giving factory-made graham crackers their signature flavor, it can either be extracted from a plant or synthesized using petrochemical derivatives. 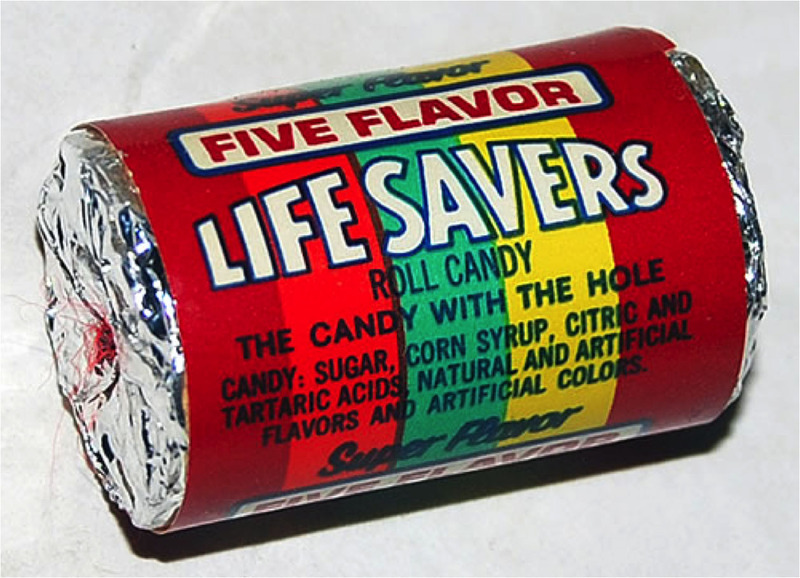 However, using the cheap version comes with another, increasingly significant cost: it means you have to include the words "artificial flavor" on your graham cracker ingredients list. Under FDA rules, if the raw material to make your flavor chemical comes from a plant, animal, or edible yeast, it's "natural," for the purposes of labeling. If it comes from anything else, it's artificial. And consumers increasingly don't want to buy things that are "artificial." In fact, Michelle Hagen, a senior flavorist at Givaudan, the world's largest fragrance and flavor company, told Gastropod that, despite the cost savings, she hasn't used a single artificial chemical in her flavorings for the past four years—because the companies she mostly works with know that customers are turned off when they see that word on a label. Until recently, the natural flavors that Hagen uses would, for the most part, have been extracted from a plant; a handful of rarer ingredients, more often used in perfumery, would have come from animal sources. Today, advances in genetic engineering, combined with the growing consumer demand for natural flavors, are creating an intriguing new option for the world's flavorists. In the past, the mention of "edible yeast" in the FDA definition of natural flavors typically referred to savory yeast extracts; now, designer yeasts are beginning to pump out vanilla, saffron, and even grapefruit flavors. 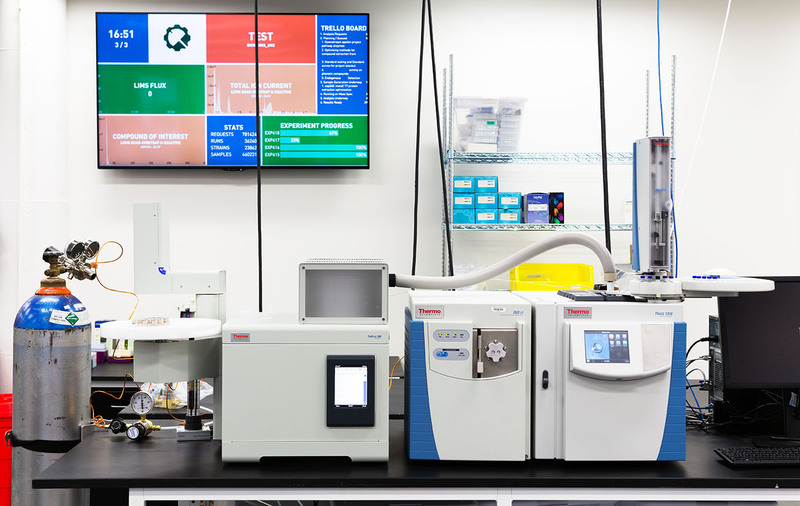 For this episode, Gastropod visited Ginkgo BioWorks, one of a new wave of companies redesigning yeasts to produce fragrance and flavor chemicals. As Christina Agapakis, a scientist, writer, and artist who recently joined Ginkgo's staff, explained, the biology behind genetically modifying microbes to produce other, useful chemicals is not new. More than three decades ago, in 1978, biotech companies successfully inserted genes into bacteria to produce human insulin, meaning that diabetics need no longer depend on a close-enough version extracted from pig pancreases. In 1990, the FDA approved rennet made by inserting cow genes into E. coli bacteria; today, more than 90 percent of all cheese in the U.S. and U.K. is made using this bio-engineered product, rather than natural rennet found in the stomach linings of calves. What is new, Agapakis told Gastropod, is "the ability to create flavors." Rather than inserting the single gene that codes for the insulin protein, she explained, "to make a flavor, you might need five or ten different enzymes that are creating a whole pathway and are really shifting the metabolism of the yeast." Fitting all those genes together so that what works in a plant to produce flavor also works in a yeast cell is challenging. Ginkgo has been developing its first yeast-fermented ingredient—a rose oil for the fragrance industry—for a couple of years now. In fact, as organism designer Patrick Boyle explained, the main reason that the Ginkgo "foundry" is filled with liquid-handling robots and high-tech machines is to help him and his colleagues rapidly run through all the tweaked yeasts that don't work. "Failure is usually not very dramatic," he told Gastropod. "It's just that we end up with a yeast that looks a lot like the yeast we started with." Still, a Swiss company called Evolva has recently brought the first of these "cultured flavors" to market: vanillin, the main ingredient in the world's most popular flavor. Ginkgo's rose oil smells pretty sweet, and the Boston-based company has half a dozen more flavor ingredients in the pipeline. And scientists in Austria just announced that they have successfully tweaked yeast to produce the key flavor chemical in grapefruit. Redesigning yeast to create flavor molecules offers some potential benefits. For starters, fermentation requires none of the harsh chemicals that are often used to extract essential oils from plants or react with petrochemical precursors. Engineered yeast also offers the possibility of democratizing rare, expensive flavors, like saffron, and, Patrick Boyle points out, it can "relieve some of the supply issues that come from using really rare plants." But the main attraction of this new technology for food companies is that the resulting flavors can legally be labelled as "natural"—they are produced by a yeast, after all. What's more, because there is no yeast left in the final product, cultured flavors actually don't contain genetically modified organisms. Still, companies are nervous—Michelle Hagen at Givaudan told Gastropod that she hadn't worked with any of these cultured flavors yet, and both Nestlé and General Mills responded to pressure from Friends of the Earth by pledging not to use cultured vanillin. In a press release, Friends of the Earth argued that using yeast to produce vanillin would threaten the livelihood of vanilla bean farmers in Madagascar, as well as the continued existence of the rainforest in which the vanilla orchid grows. But, as Patrick Boyle pointed out, the world demand for vanillin far outstrips the quantity of vanilla beans grown each year, and the synthetic and real vanilla industries have already managed to co-exist for more than a century. Debates over natural vs. artificial aside, perhaps the most interesting aspect of these designer yeasts is the potential they offer for creating entirely new flavor experiences. For Christina Agapakis, the opportunity to learn more about the genes and pathways that plants use to express flavor will, she hopes, lead to productive collaborations with fruit and vegetable breeders—and increased deliciousness in the field as well as in the lab. Listen to this episode to understand how the flavor industry got started and how designer yeasts could one day allow us to get closer to the taste of extinct, long-forgotten species—or even a Paleo flavor palette of pre-domestication plants and animals. Flavor perception is largely based on a kind of smell that happens in the mouth: retronasal olfaction. This diagram shows that mysterious passage connecting the back of the mouth directly to the nose. In a study published in 2001, Frédéric Brochet, a PhD student at the University of Bordeaux, France, ruffled feathers in the wine world by giving 54 oenology students two glasses of the same white wine, one of which had been dyed red. The students described the red-colored wine as if it was a red wine—demonstrating that our eyes play a much more important role in our flavor perception than most people had imagined. Brochet has apparently since gone on to become a wine-maker. Nadia Berenstein, the flavor historian we spoke to in this episode, maintains a blog called Flavor Added that is one of Nicky's favorite spots on the Internet. Go get lost in the archives, reading all about mystery flavor Dum-Dum lollipops, an edible meat packaging from the 30s known as Gelafinish, and the Crocker-Henderson system for classifying odors. This short description, published in The New York Times on Friday, July 22, 1853, notes that Artificial Essences were on display at the Crystal Palace exhibition in the American section of the Chemical Department—alongside "fine mineral colors, pure spirits and medicinal articles." 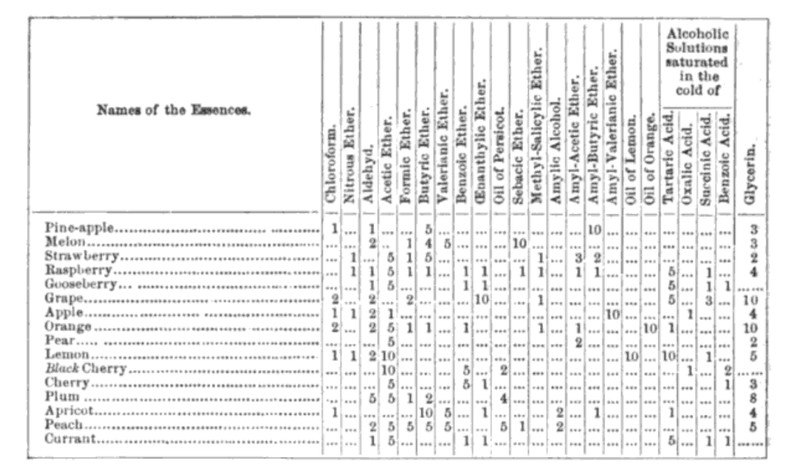 According to Nadia Berenstein, this table, published in 1866 in Dingler's Polytechnisches Journal, was used as a standard formulary for artificial fruit essences in America for more than fifty years. As Nadia Berenstein explains in the episode, fake grape flavor (a chemical called methyl anthranilate) actually tastes much more like native American grapes, rather than the seedless Californian or Chilean grapes we buy at the supermarket today. The Concord grape also provided the basis for the most American of Jewish traditions: Manischewitz wine. Read about the history of the Concord grape and its link to Passover in this great article by Yoni Appelbaum in The Atlantic. In 2009, Raffi Katchadourian wrote a wonderful New Yorker article about flavorists and flavoring, featuring none other than future Gastropod star Michelle Hagen. We owe a huge thanks to Jeff Peppet at Givaudan for helping set up our conversation. As we mention in the episode, Christina Agapakis recently launched a new online magazine about doing science, called Method. When you've finished reading that, check out her Oscillator blog, the cheeses she made with bacteria from people's bellybuttons, armpits, and in between their toes, and pretty much everything else she's ever done: it's all fascinating! 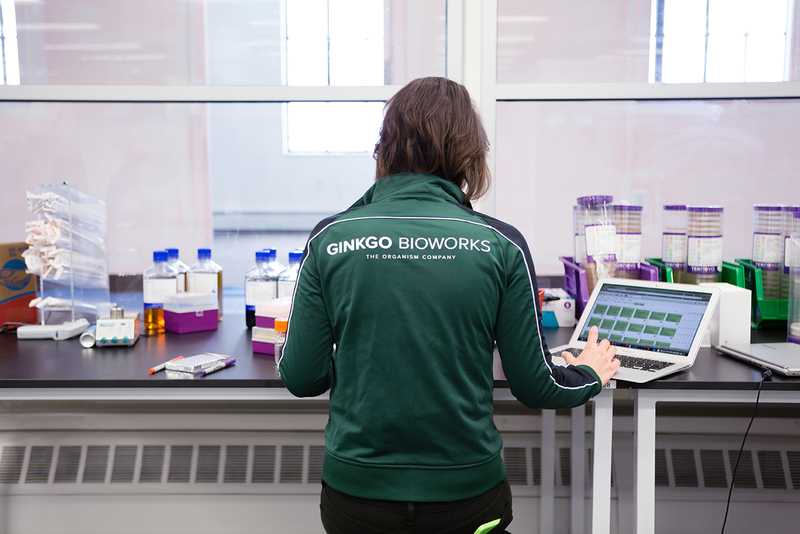 For this episode, Patrick Boyle was kind enough to give Nicky a tour of Ginkgo BioWork's "foundry," so she could see the processes of organism design and flavor fermentation in action. That kind of transparency in the food world, and particularly in the traditionally rather secretive biotech and flavor industries, is truly admirable. The company also has all sorts of other interesting projects in the works, including developing a line of advanced probiotics in collaboration with DARPA. Like what you hear? Click here to donate and support our work!